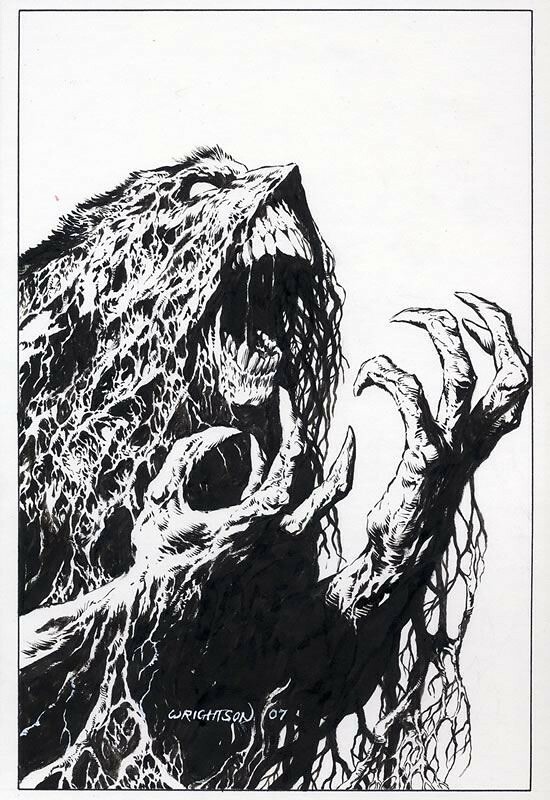 Berni Wrightson left the Swamp Thing series in the 1970s, but it hasn't stopped him from doing commissions of his greatest creation. This illustration features Swampi charging out of the woods. The design of the creature seems a bit more like the Bissette & Totleben version of the character. 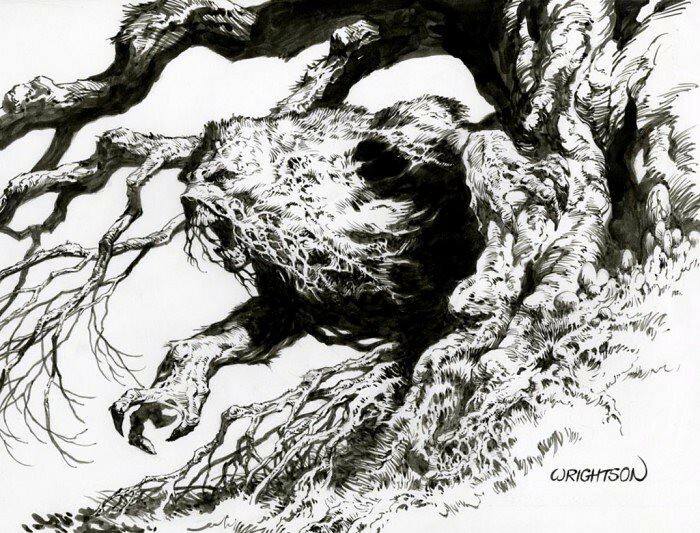 Here is another one, featuring an enraged Swamp Thing amid the brambles. Nuff Said!